GUEST WRITER SALLY SMITH: Public Education Must Be FREE!!! More lottery money than ever was received by public schools in July 2015 yet parents, guardians and foster parents are still getting a supplies list from San Diego Unified School District (SDUSD) schools to purchase for their children. Is it asking too much for an educational entity to budget for crayons, pencils, paper and calculators? It is the law – Hartzell v. Connell. The burden of providing a steady stream of revenue for school supplies and activities has been shouldered by families because parents do not know their children are entitled to a free public education. All adults should insure that no child is labeled as a deadbeat or excluded from any school course or activity. There are many examples of abuses of “free public education” in the SDUSD. Parents receive school supplies lists or e-blasts to purchase the school p. e. uniform. Parents have the legal right to opt out of school uniforms. A student cannot be penalized for not wearing a school uniform. Some parents have paid the equivalent of a year of college tuition in illegal fees. Some school-affiliated groups run by parents have hundreds of thousands of dollars in savings accounts collected from children’s families that never received the benefits of their parents’ donations. Parents receive ‘bills’ for field trips multiple times – open the child’s backpack and there is the form for the ‘donation’ again. Nothing on those forms state that children cannot be excluded from field trips if they do not ‘donate’ money which is the law. Schools are planning 6th grade camp field trips but parents are never told that no child may be excluded if the family cannot pay. Instead, school-affiliated groups break out the cost for each child and start sending the forms for parents to pay up. As I wrote recently in NO TEST FEES REQUIRED on International Baccalaureate in San Diego Unified!! !, finally, the California Department of Education finding was the correct one about IB exams – that no student can be required to pay for International Baccalaureate exams. Families paid thousands of dollars that could have been saved for college tuition. When a student can take a math class without having to tell his teacher that “I can’t afford a calculator” because every student is given a calculator, when no student has to draw out graph paper with a ruler because his family doesn’t have money to buy a pad of graph paper, when a student does not have to take his clay art piece and lump it back into a ball of clay and give it back while his wealthier peers pay the $25 and get to fire and paint their clay creation then San Diego Unified can boast that it provides all activities to all children . Until then, the San Diego Unified School District continues to be a two-tier educational system, one for the haves and one for the have-nots. But Parents, Guardians and Foster Parents CAN file a Uniform Complaint! You can find the SDUSD forms on the District Deeds Complaint Forms page. Anonymous complaints may be submitted to the school district and if supporting documents and information are provided the complainant must receive a district response within 60 days. An appeal can be filed, within 15 days, to the California Department of Education. 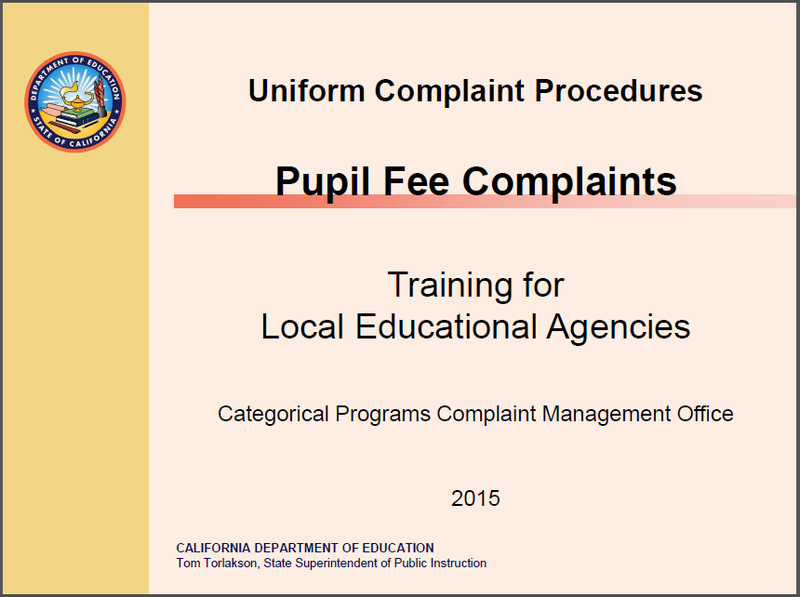 For more information check out this Training document by the California Department of Education’s Kerry Ruzicka titled Uniform Complaint Procedures – Pupil Fee Complaints . We’re a gaggle of volunteers and opening a brand new scheme in our community. 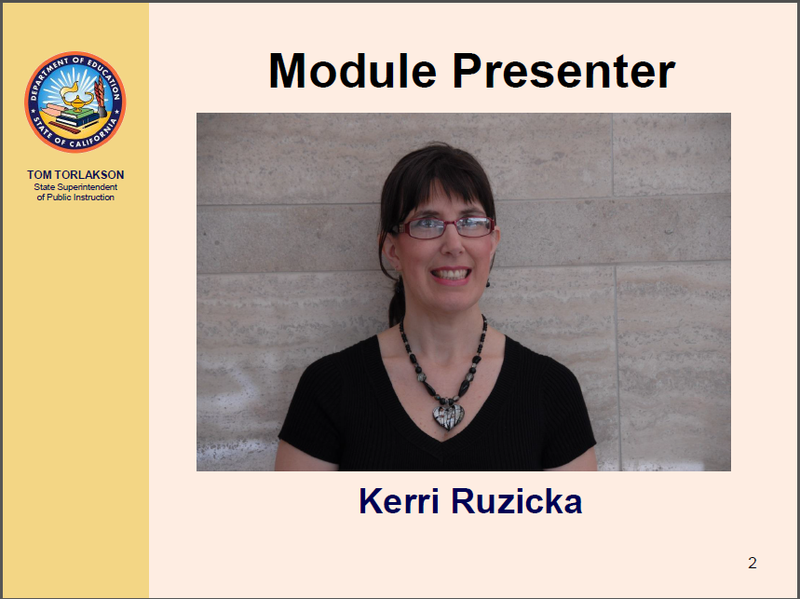 Your website offered us with useful information to work on. 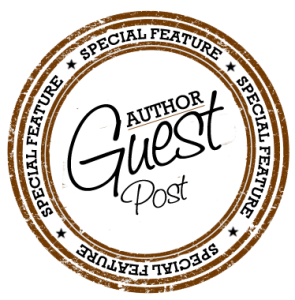 You’ve performed an impressive process and our entire group can be thankful to you.